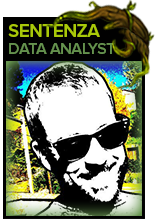 A monthly Hearthstone Wild Meta Report based on data from over 45,000 games. 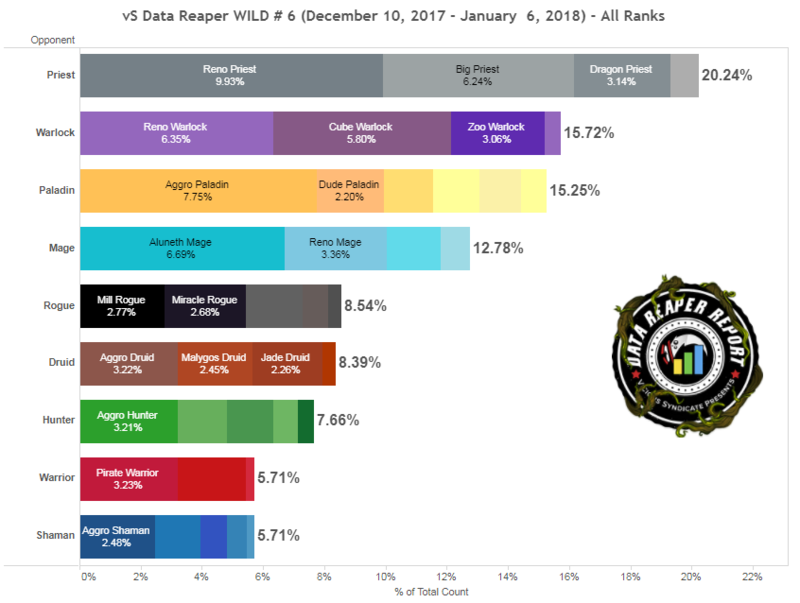 Welcome back to the Wild vS Data Reaper Report! 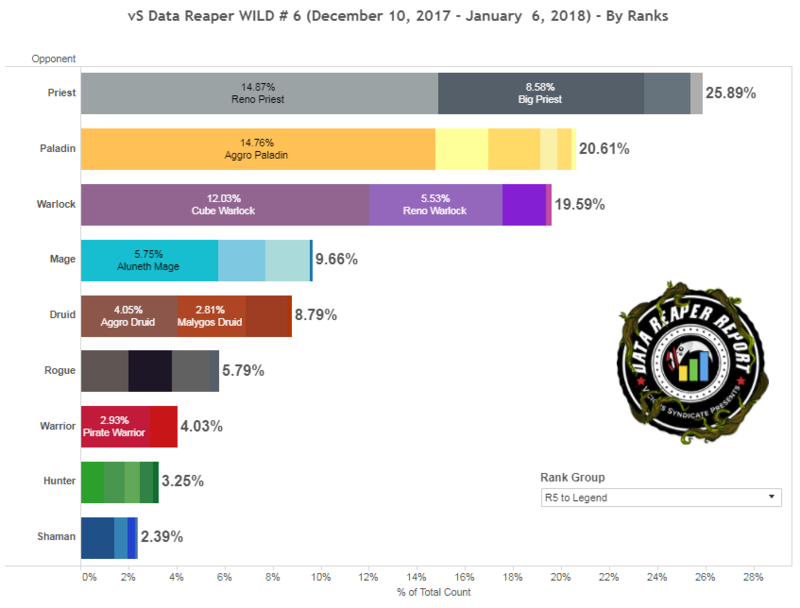 We’re the experts from r/WildHearthstone, and we have partnered with Vicious Syndicate to create the Wild Data Reaper Report. 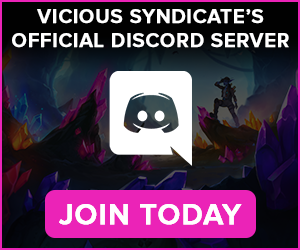 We will be contributing the write-ups and analysis for the report, backed up by the statistics that Vicious Syndicate has become famous for. The data presented in this article is based on 45,000 games. 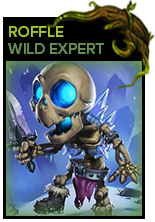 The Wild meta has been impacted heavily by the new set release of Kobolds and Catacombs. Priest is still the most popular class, but the meta has evened out significantly, as Reno Priest is no longer the sole “deck to beat”. Cubelock has hit Wild hard and has found a place at the top of the meta; it’s currently one of the most powerful in the game. Aggro Paladin has also surpassed Dude Paladin, joining these two other decks as the dominant triumvirate of Wild. The obvious takeaway is that we have three classes which are more dominant than others, and by a clear margin. Priest, Warlock, and Paladin make up over 50% of the meta across all ranks, and nearly two-thirds of it at Rank 5-legend. Priest is still the most played class, and has two of the most played archetypes in the format – Reno Priest and Big Priest. Reno Priest is at around 10% playrate on ladder overall, and just under 15% from rank 5. Big Priest sees around two thirds the amount of play at all stages that Reno Priest does, which is still significant, being the 4th most played deck at high ranks and overall as well. Dragon Priest has a more niche representation of just under 2% at top ranks, with a slightly higher representation at lower levels of play. Warlock has gained a powerhouse new archetype in the form of Cube Warlock, which has gained over 5% play out of the gate across the ladder. At higher ranks, the playrate skyrockets, with 12% of the rank 5+ meta being Cubelock. Renolock retains a chunk of its former presence from last expansion with 5-6% play. Zoo maintains some playability on ladder with 3% overall, but even that falls in half at higher ranks. Paladin maintains its staying power from last expansion, being the third most played class, with 15% play overall. 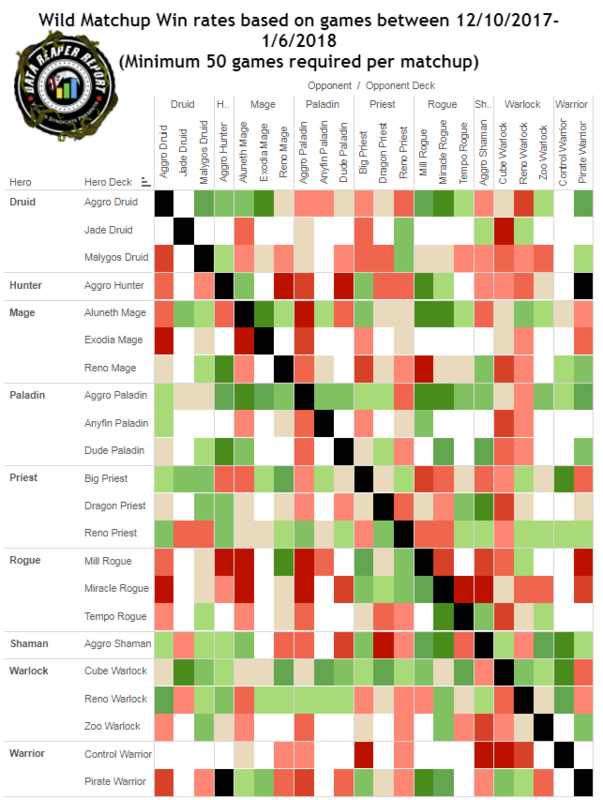 Most notable is how diverse the class is across the full ladder, with 5 different archetypes seeing over 1% play. Aggro Paladin has a clear lead over other archetypes, and skyrockets in popularity to the second most played deck at higher levels of play, a hair’s breath away from Reno Priest. Mage tries to fit in with the power triad on ladder, with 13% play, but really falls behind at ranks 5+ as it drops off by more than 3%. Aluneth Mage is the most dominant archetype for the class, with Reno Mage and Exodia Mage rounding out the class archetypes. All other classes see under 9% play, and drop off at higher ranks. 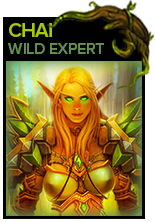 The exception is Druid, which has established a new archetype, with Malygos Druid making up around a third of the class’ play across ladder. Rogue has seen Mill Rogue jump to the most played deck in its class, which has been a shift from last expansion where it was the least played archetype. Pirate Warrior, a ghost of its former self, is the most played Warrior archetype, with Aggro Hunter and Aggro Shaman being the most popular archetypes of their respective classes. 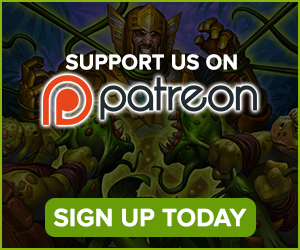 The release of Kobolds and Catacombs has greatly shifted the wild meta game, and thus the Power Rankings. Gone are the days of “Dude” or Midrange Paladin and Reno Priest completely dominating the meta. Joining Reno Priest as the decks to beat are Cubelock and the newly revamped Aggro Paladin. While Cube Warlock has made a mark in standard format, it is far more powerful in Wild due to the additional Demon/Deathrattle synergy that’s available. It is able to beat aggressive decks using tools such as Defile and “cheating” out a Voidlord, and beat many control decks by duplicating many powerful demons. Cubelock has forced decks to be built with its presence in mind. Aggro decks must win by turn 4-5, tech in silence, or be able to go over the taunt walls with burn. Control decks are also teching in silence along with more removal to be able to deal with the constant threats coming out. It is yet to be seen whether this deck can maintain its current power level, but its current performance suggests it is more than just a fad. Aggro Paladin quickly ascended the rankings with the addition of Call to Arms and Corridor Creeper allowing it to pump out tons of stats really quickly and then refill with Divine Favor. Aggro Paladin has become the premier aggro deck with its only significantly unfavorable matchups being Reno Priest and Reno Warlock. Reno Priest remains solidly in Tier 1, but not in the top spot. 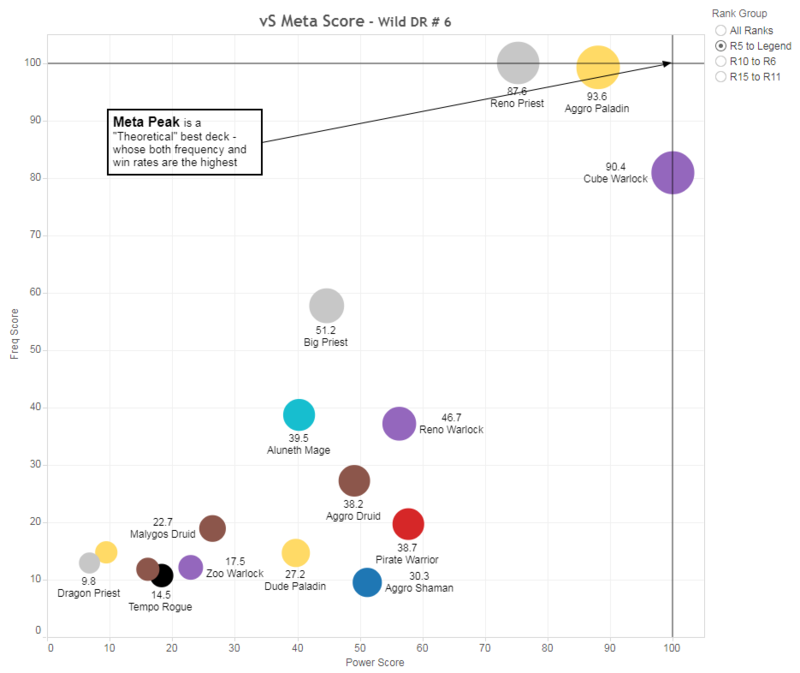 It’s still one of the most influential decks in the game, with the entire meta geared to push down its win rate. However, it’s no longer the only deck one must consider when building a deck for ladder. Cube Warlock has enough tools to be able to match up to Reno Priest and challenge its supremacy. Kobolds and Catacombs wasn’t too kind to Druid. The power level of the new Druid cards simply was not equal to the explosion that occurred with the new Warlock, Paladin, and Priest cards. 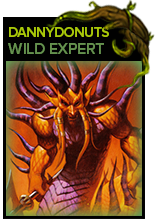 All current Druid archetypes are boasting sub 50% win rates at higher levels of play with Aggro Druid performing the best of the group..
Aggro Druid was initially very strong when Kobolds and Catacombs was released with sipiwi94 taking his build to #1 legend on the EU server. 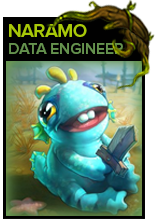 His build added the power house card Corridor Creeper as well as Dire Mole. Crypt Lord is the only noticeable card missing from the build, but this choice makes sense with the aggression on ladder toned down now. 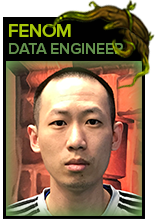 However, once Cube Warlock was discovered and the builds for well-known decks such as Aggro Paladin, Big Priest, Reno Priest, and Reno Warlock were improved, Aggro Druid simply could not keep up. 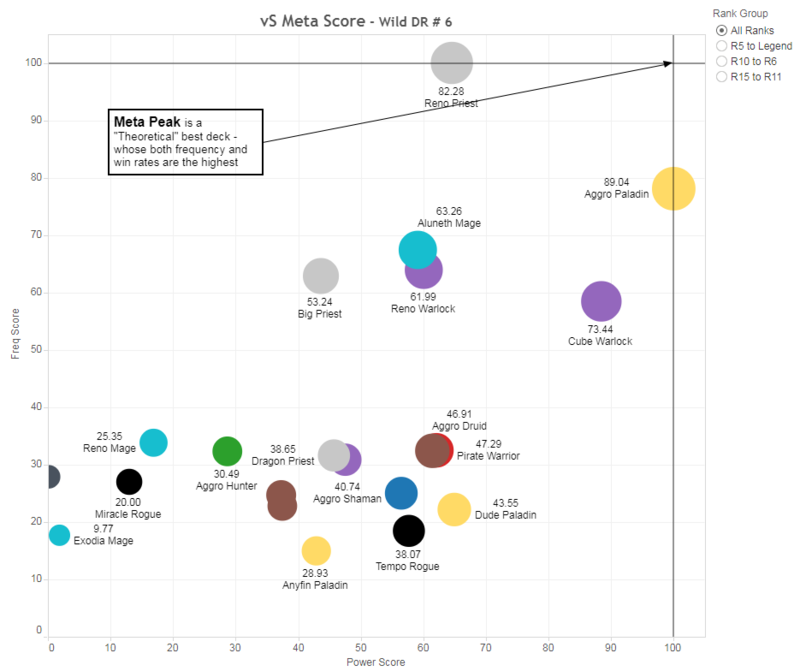 This is apparent in the matchup chart, with Aggro Druid not boasting favorable win rates against any of the popular meta decks. Malygos Druid is a deck that has risen in popularity in the Kobolds and Catacombs meta, enough to be featured in our report. 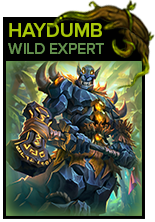 With the new Oaken Summons package, the deck gains added consistency and new defensive tools. While the archetype isn’t performing too well against the field, its good matchup with Reno Priest is one significant advantage it currently possesses. Zeddy peaked at #4 legend with the deck in December. 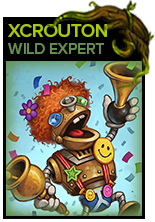 The core of the deck is mostly solved, with 28 cards that remain identical across most lists, but some differences can be found in regards to assembling the full combo, opting to either use Alexstrasza to reduce the enemy’s health, or for Ixlid, Fungal Lord to summon an additional Malygos. Finally, it appears that the days of summoning larger, and larger, and even larger men are over. 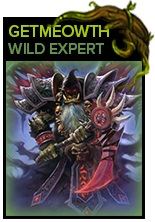 Jade Druid sits at the bottom of Tier 3. To make matters worse Cube Warlock completely decimates Jade Druid. Nonetheless, players have had some success with the archetype by including new cards such as Jasper Spellstone, Branching Paths, and Arcane Tyrant. Jasper Spellstone, thanks to its ability to scale for the late-game, is turning out to be a worthy replacement for Wrath. Branching Paths gives you a lot of flexibility with how to deal with your current matchup and Arcane Tyrant helps the deck accelerate its board development. There is definitely room for Jade Druid to improve and cards such as Oaken Summons and Violet Teacher are also finding their way into current builds. Aggro Hunter uses Hunter’s strong early cards such as Crackling Razormaw and Glaivezooka to take the board early and get in chip damage, then finish off the opponent with the hero power and burn spells such as Quick Shot and Kill Command. There are many variants of the archetype, divided largely on the line of including a Mad Scientist/secrets package. Some lists in the new expansion have begun to run Tundra Rhino, which has great synergy with the latest powerhouse from Kobolds and Catacombs, Corridor Creeper. The only thing better than a 0 mana 5/5 is a 0 mana 5/5…with charge. Aggro Hunter performs best against decks such as Aluneth Mage and Big Priest, that are slow or inconsistent at contesting the board. The deck can occasionally sneak in wins against slower decks, provided they don’t draw their defensive outs (Reno). However, it performs very poorly against Paladin decks, as their early game minions are much better at controlling the board and locking you out. Deathrattle Hunter is a midrange deck, utilizing Hunter’s powerful deathrattle synergy. With cards such as Play Dead and Terrorscale Stalker, wild-exclusive minions such as Piloted Shredder and Nerubian Egg can provide good tempo and value. Carnivorous Cube is a new addition from K&C, which has good synergy with deathrattle minions, and incredible synergy with deathrattle activators. Unfortunately, this deck is too slow to reliably challenge the decks to beat, as Aggro Paladins will kill you before your broken interactions get played out, Reno Priests will clear your board, and Cubelocks will have played about 4 Mal’ganis’. 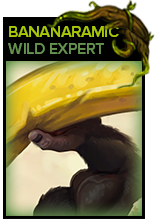 This relegates the deck to a Tier 4 position, and explains the deck’s low playrate. Shouldn’t have insulted that goat. Kobolds and Catacombs introduced several new mage cards that have significantly updated many Mage decks. The most notable is Tempo Mage, utilizing the new legendary weapon Aluneth, and the new secret Explosive Runes. Because of these new tools, Aluneth Mage has been able to easily out-gas opponents after keeping up with board pressure. The list showcased has teched in Potion of Polymorph to deal with the hordes of Cubelocks, effectively negating early demons. For Reno Mage, we see the introduction of Dragon’s Fury for the deck which supplies a threatening AOE to the board (usually Excavated Evil+). With the multiple AOE’s, Reno Mage gains more strength against aggressive decks – but can still fall short to Aggro Paladin because of cards such as Divine Favor. Reno Mage also struggles against late game powerhouses such as Cubelock – finding it difficult to deal with the consistent, large threats. 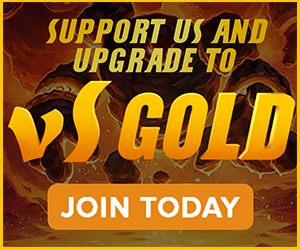 Paladin experienced an internal shake-up this expansion, thanks in no small part to Call to Arms. The 4-mana epic has redefined Paladin deckbuilding and sees play in all variants of the class. Aggro Paladin, with Call to Arms, Corridor Creeper, and a Pirates package, has dethroned Dude Paladin from its spot at the top of the meta. Call to Arms has the potential to be even more explosive with lucky ordering of Juggler/Cannon shots during resolution, and the deck hits early, hard, and refills with Divine Favor to do it again. Most lists now run a Spellbreaker to answer the large taunts that swarmed the high rank meta. Dude Paladin is still very strong across the general meta, but falls short at higher levels of player where Reno Priest and Cubelock dominate, as the deck lacks Aggro Paladin’s speed. Secret Paladin and the two Murloc variants fill out Paladin’s historically diverse range of archetypes, but Secret and tribal Murloc lists fade into obscurity from 5-L. With Aggro Paladin being such a strong option, other archetypes of the class are deemed obsolete. Whether you like it or not, Big Priest is here to stay. Blizzard pushed the archetype further with the cards Psychic Scream and Diamond Spellstone. Psychic Scream gives you a clean reset when you are behind on board and ruins an Aggro Druid or Aggro Paladin’s game plan. Diamond Spellstone essentially gives you more resurrect options, but now in the form of a giant 7 mana board swing. It turns out that it isn’t that difficult to play the required number of spells to reach a Greater Spellstone. Interestingly, Big Priest is performing at a Tier 3 level, but it is the fourth most frequent deck on ladder. Big Priest was performing quite well at the beginning of Kobolds and Catacombs’ release and was even doing well during the rise of Cube Warlock. However, Cube Warlock players now run Sylvanas in their lists which is wreaking havoc on Big Priest’s resurrect effects. CONCERNEDMOM, Roffle, and slizzle466 all experimented with different variants of the deck, with Roffle/CONCERNEDMOM both finishing at top 10 legend with their lists last month. slizzle466 teched his list heavily against Cube Warlock by adding in silence effects and replacing an Obsidian Statue with Ysera resulting in a climb to legend from Rank 4 in a day. Following the release of Kobold and Catacombs, Reno Priest has surprisingly, taken a slight dip in popularity, despite remaining a consistent Tier 1 deck across all levels of play. Kobolds and Catacombs only really gave the deck Psychic Scream, but it is strong enough to patch up quite a lot of its unfavored matchups, with some players opting to replace Lightbomb or Dragonfire Potion completely. Similarly to the last meta report, the most effective and common variant, as was seen at Control’s wild invitational, are the more dedicated combo variants, which utilize a large number of low-cost spells and card draw to assemble a deadly Spawn of Shadows or Velen OTK. The featured list was used by Awedragon to get second place in this tournament, and includes a few interesting tech cards such as Confuse to great effect. One major change that occurred to Priest after the release of Kobolds and Catacombs was a decline in the playrate of the dedicated Inner Fire Combo Priest archetype, a void which was filled by the newly-pushed Dragon Priest. While Dragon Priest has consistently been quite a low power deck relative to the rest of the meta, it received quite a few new tools in the most recent expansion which has seen the deck receive a lot of new attention and experimentation. The two main ways in which the archetype is built is the Spiteful Summoner, Standard-inspired variant, and the Divine Spirit+Inner Fire combo variant. Kobolds and Catacombs hasn’t improved Rogue’s place in the meta. 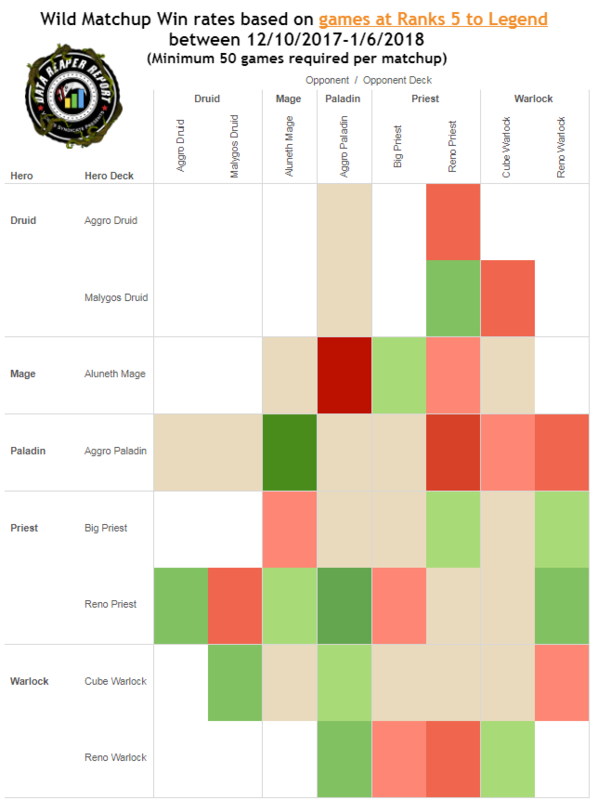 At all levels of play, Rogue is completely absent from Tiers 1 and 2. While some Rogue archetypes have favorable matchups against slower variants of Druid, Priest, and Warlock, the abundance of Paladin on ladder keeps them from being consistently strong. Tempo Rogue is the strongest iteration of Rogue in the current meta. While some do still run Prince Keleseth in Tempo Rogue, the more powerful versions of the deck run Ship’s Cannon, due to the power level of the Pirate package. New cards such as Sonya Shadowdancer, Elven Minstrel, and Corridor Creeper give the deck enough of a boost to keep up with the meta but not enough to make it one of the stronger decks. Miracle Rogue remains in Tier 4, struggling to stay afloat against all the aggro decks in the meta. While the archetype is floundering against the general meta, Miracle Rogue is in the unique position of being favored against all forms of Priest on Ladder at the moment. Reno, Big, and Dragon all have difficulty against Miracle, so if you want to make a Priest smash their keyboard look no further than Miracle Rogue. Builds range from more traditional Questing and Coldblood lists running few to no cards from the recent expansion to Kingsbane weapon-oriented lists running the new Rogue legendary weapon and Cavern Shinyfinder. Mill Rogue is in a similar spot to Miracle Rogue this expansion, folding to aggro but having a favorable matchup against slower Priests. Mill Rogue did get some tools in Kobolds and Catacombs with the new Rogue secret Evasion. The ability to buy another turn is valuable to Mill Rogue, but most of the time it’s not enough to fend off aggro. Builds of Mill Rogue include the N’Zoth variants which have been popular in the past and new Kingsbane variants which use the legendary weapon to add cards to the deck and prevent the onset of fatigue, create giant clears with Blade Flurry (it’s kind of back) and heal for massive amounts with Leeching Poison. Kobolds and Catacombs brought many interesting tools for Shaman to play with, but sadly, none of them were good enough to bring Thrall back from the brink. Aggro Shaman remains the only strong Shaman deck. Aggro Shaman finds its niche as a deck that can fairly consistently beat Cube Warlock, the top deck in the meta right now, by being able to get in enough early damage to close the distance with burn once the Cube Warlock swings the board with a Voidlord. The only new tool gained by Aggro Shaman was the neutral Corridor Creeper. Aggro Shaman has kept its head above water, but it is by no means thriving. Midrange or Token Shaman has been seeing play at lower ranks. 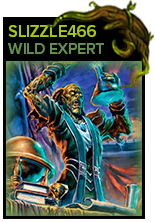 While Shaman got access to many new totem synergy cards this expansion, Midrange Shaman will never see large rates of play at higher ranks thanks to the prevalence of AoE-heavy control decks. Thrall’s Hero Power lines up remarkably poorly against Psychic Scream too. There has been experimentation with many other shaman decks, including N’Zoth Shaman with Cubes, Malygos Shaman with access to Healing Rain, and slower Evolve Shamans with Unstable Evolution. While these decks are interesting, they’ve only seen a small amount of play, so we don’t have any reliable data to say specifically how good these decks are. 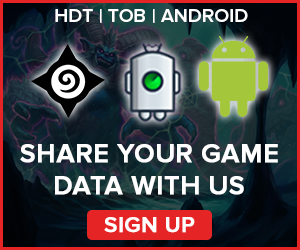 We’ve provided you with some decklists that were used in tournaments or had a fair amount of success on ladder (including legend). Tezzmizzet piloted a N’Zoth Shaman to win a Wild Open Qualifier using Carnivorous Cube in conjunction with Ancestral Spirit and Reincarnation to get a ridiculous amount of value. The deck with the most potential out of these other archetypes should be Malygos Shaman, with the deck including many AoE spells for aggro, a good amount of healing and an OTK possibility against control decks. Cubelockis a brand new Warlock Archetype that has popped up due to the recent expansion, and more specifically, the release of many Warlock specific cards that help complement the neutral Carnivorous Cube, very well. While this deck’s idea may have originated in Standard, it was quickly adapted to the Wild format. The core strategy of the deck gets exponentially stronger with the additions of Voidcallers and Mal’Ganis. The deck plays a control-combo style, similar to the Handlock days of old. Try to stay alive and draw cards for the first couple of turns until you have the resources to combo cards and swing the board back in your favor. However, instead of the 4/10 Twilight Drakes and 8/8 Giants that get taunted up of old, you have Voidcallers and Possessed Lackeys that are being combo-d with Carnivorous Cube and Dark Pact to summon high cost, extremely powerful demons from your hand or deck. Even though it’s lost some popularity due to the emergence of Cube Warlock, Reno Warlock (Renolock) has improvemed with the release of Kobolds and Catacombs. Kobold Librarian and Vulgar Homunculus are exciting new additions which have seen a lot of play in both Standard and Wild, proving their effectiveness. Voidlord has also become a staple of the deck, especially coupled with Voidcaller. Voidcaller is one of the best Wild cards due to its ability to pull a big demon like Voidlord or Mal’ganis during the mid-game. This allows Renolock to either shutdown Aggro, or create a massive tempo swing in slower games. Zola the Gorgon has also been a powerhouse card for the list due to the flexibility and synergy it provides across different matchups, with its interaction with Brann Bronzebeard being particularly notable. For example, when playing against Aggro, having an additional copy of Reno Jackson is almost unfair. Zola can also provide you with additional copies of Dirty Rat and Gnomeferatu when playing against combo or control decks. Finally, generating more Kazakus potions, or big demons like Mal’Ganis can help finish off opponents. Renolock didn’t receive any new AOE tools that see play, but it still has an abundance at its disposal alongside healing and taunts, making it favorable against most aggressive and tempo decks. In addition to the Standard collection, Wild Reno Warlock still has Demonwrath to keep early boards clear, Reno Jackson and Healbot for regenerating health, and access to Sludge Belcher- one of the best taunts in the game. Although improved, Renolock is still held back from being a top tier deck due to traditional struggles against Reno Priest and Jade Druid in combination with new meta decks such as Aluneth Mage, Big Priest, and Cube Warlock. Luckily, Reno Warlock is a flexible deck, so you are able to swap cards in and out depending on the type of meta you come across on ladder. Zoo Warlock fell from being one of the top tier decks in the Wild meta to tier 3. 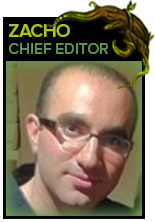 One of the biggest contributors to the fall of Zoo has been the meta shift with the release of Kobolds and Catacombs. Zoo is unfavored against the quick burn of Aluneth Mage and Aggro Shaman, can’t keep up with Aggro Paladin or Cube Warlock, and still can’t beat Reno Priest (especially with the release of Psychic Scream). The surge in popularity of Cube and Reno Warlock archetypes has also held back Zoo from seeing much innovation. Cube and Reno account for over 17% of the meta from Rank 5 to Legend whereas Zoo is below 2%. 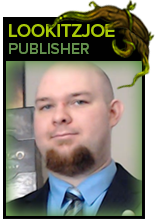 Prior to Kobolds and Catacombs, Zoo saw significantly more play. With that drop in play along with the current state of the meta, expect continued struggles for Zoo. For Garrosh Hellscream, it truly is a tale of two archetypes. Despite a continued decline in popularity since the nerf to Fiery War Axe, Pirate Warrior is still a viable option in the current Wild metagame. Sure, the archetype is not nearly the dominant force it once was, but on the back of a handful of favorable matchups, it still remains securely at the top of Tier 2. At higher ranks, especially when considering the prevalence of Cubelocks, there might be merit to see a return to this dependable Wild Hearthstone archetype. Perhaps the biggest hurdle these swashbuckling Warriors face is the increased pace of its aggro counterparts. While both Druid and Paladin received potent new additions to accelerate their already speedy openers, Pirate Warrior has gained nothing in the past two expansions. The result is a fairly poor match up against just about any other aggressive board-centric deck. If this concerning trend continues, Warrior’s last hope may soon disappear into obscurity. For now, however, the fairly standard build of Pirate Warrior featured in this report should be a strong choice for those looking to punish some of the greedier decks on the Wild ladder. Pirate Warrior has the benefit of several seasons of refinement and, at this point, is about as close to optimized as any Wild deck. Control Warrior, on the other hand, is simply a mess. 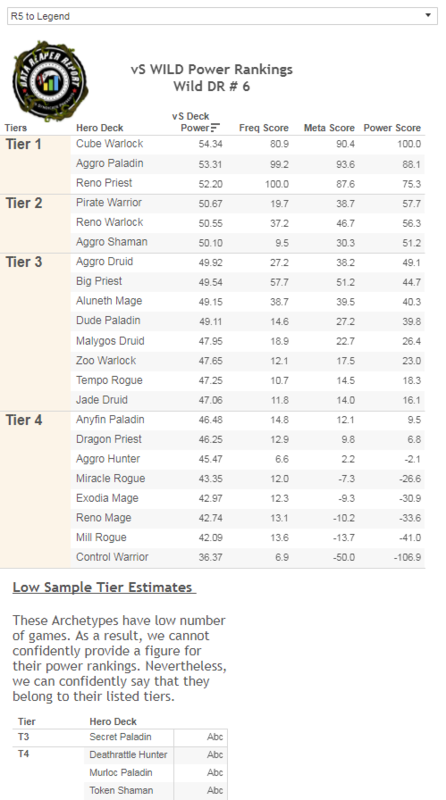 As players test new tools in search of the ideal list, the archetype’s win rate continues to tank. On top of earning the worst win rate and Meta Score in the current report, Control Warrior bears the heavy burden of a negative win rate across all matchups with enough data. New armor gain mechanics and synergies released with Kobolds and Catacombs prove to offer too little, even in a format with Tank Up! as a possibility. Unlike its highly refined Pirate brethren, Control Warrior players seem to be struggling to find a list that works in any capacity, let alone an optimal build. Awedragon, once more, proves to be the exception to the rule. With the list featured below, he managed an impressive win rate, including an inexplicably favorable record against Cubelock, on his way to an early #2 legend spot in January. While individual success stories are certainly possible, they haven’t translated into widespread success. Control Warrior, as an archetype, does not appear to be well-positioned in the current Wild metagame. Pirate Warrior is this report’s Meta Breaker. Once the scourge of the Wild Ladder, Pirate Warrior is a ghost of its former self. It has significantly dropped in both its popularity as well as its win rate from previous reports. 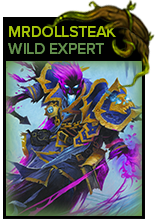 However, it is the only reliable counter to arguably the strongest class in Wild, Warlock, boasting a favorable matchup against both Cubelock and Renolock. Its performance against the field is stymied by terrible matchups against aggressive decks, most notably Aggro Paladin and Aggro Shaman. Pirate Warrior is an excellent pick for those who encounter a control-filled local meta, as the name of the game against the dominant late game strategies is to kill them before turn 6, which Pirate Warrior does quite well. Lok’tar Ogar! 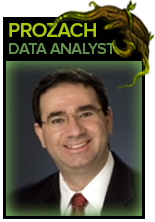 Our Data Reaper Project, including the Data Reaper Live has 4,000 active contributors. Without them, this project would not be possible, so we’d like to thank all of our contributors for their help. 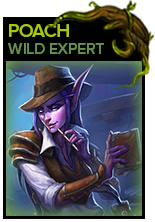 Is it just me or are most top tier decks in wild broken? 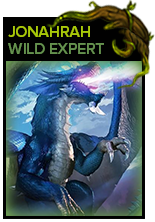 Is it possible we could have the worst wild format since this games inception?